It’s not easy to earn the title of highest producing agent at a New York City real estate brokerage. But Lisa Lippman has done it three times in a row at Brown Harris Stevens. The lawyer-turned-broker was crowned top-producing agent at the venerable brokerage in 2016, 2017 and 2018, closing on 58 co-ops and condos worth more than $220 million in the last year alone. For her, it’s par for the course — this rainmaker said she usually does a deal a week, or between 50 or 60 deals for the year. Lippman believes a major factor of her success may be her corporate background in law. Before jumping into the real estate world, she was a lawyer at two prominent firms — Brody and Fabiani, and Kriss and Feit. The rigorous schedule of an attorney taught her to be well-organized and readily available at a moment’s notice, unlike many brokers who operated on a part-time basis when she started. Ultimately, it was the strain of an attorney’s schedule combined with raising two young children that had her question whether she could continue doing law. Lippman began looking for a more flexible job while she was looking to buy her first apartment. Curious about profits and how the market operates, she earned her own real estate license and organized a deal between her friend trying to sell an apartment and a family from her kid’s nursery class looking to buy. The flexibility of making a living while maintaining a personal life with her family appealed to her immensely. 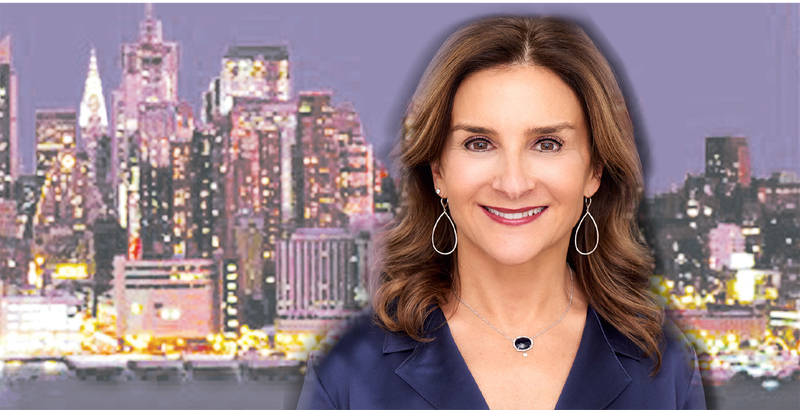 After that first successful deal whet her appetite for the business, Lippman stepped into a Corcoran office near Zabar’s grocery on the Upper West Side to ask for a part-time job. She was retained on the spot and, within a few years, was ranked among the top 20 agents at Corcoran. After gaining years of experience at Corcoran, Lippman said she wanted to work for a smaller company that would offer her the freedom to do other types of deals, like new developments or retail. She chose to leave for Brown Harris Stevens in 2005 to expand her skillset into those other markets. Since then, she’s built a legacy team of people she can rely on, working with business partner Gerard “Scott” Moore for nearly two decades and Marc Rodriguez for 11. Her junior assistant has been with her for four years and she has had the same driver for more than 12 years and nanny for nearly a dozen. But her days as a broker have changed over the years. “When I first started 22 years ago, I think there were only a few people that had graduate degrees,” Lippman said. She believes that being a broker back then was not a glamorous job, but nowadays it carries some prestige. In spite of the greater connectivity in this era, Lippman said the residential market faced a rough past couple of years due to inflated pricing by sellers. She’s noticed a major shift where sellers are seeing their properties sit stagnant for far too long. 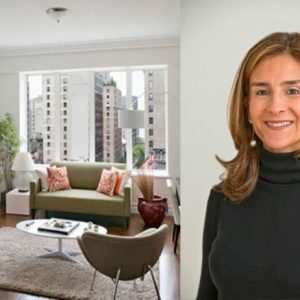 Lippman said her clients would ask her what price to set the apartment so it could sell in the next two or three months. With a buyer’s market forming and a stable economy, she predicts buyers scooping up properly-priced properties as soon as they can.